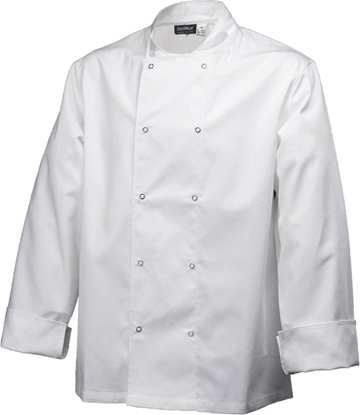 Select from a versatile range of chef jackets and tunics, all made to withstand the demands of a busy commerical working kitchen. 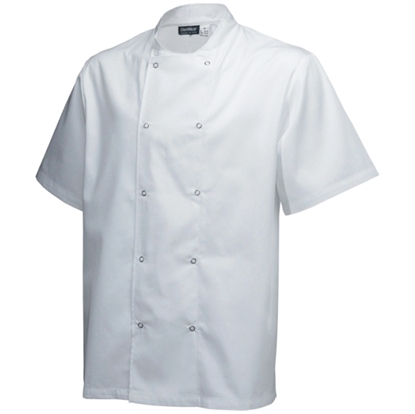 Choose from traditional chef whites, or the more modern designed jackets made from breathable fabrics . 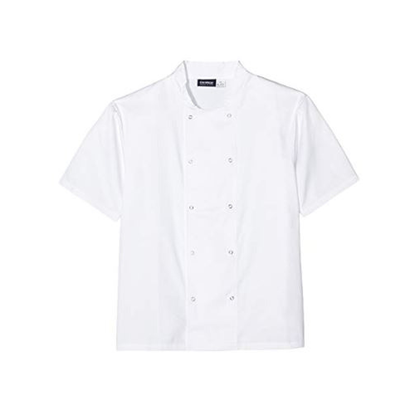 There are many styles to suit your taste inclduing long sleeve and short sleeve jackets for both men and women all designed to keep you comfortable all day long. Hugh Jordan & Co has been one of Ireland’s largest independent catering suppliers since 1947, specialising in everything from Crockery, Cutlery, Glassware, Barware, Kitchenware, Hospitality, Dining Room, Disposables, Food Packaging, Equipment, Hygiene and Furniture.